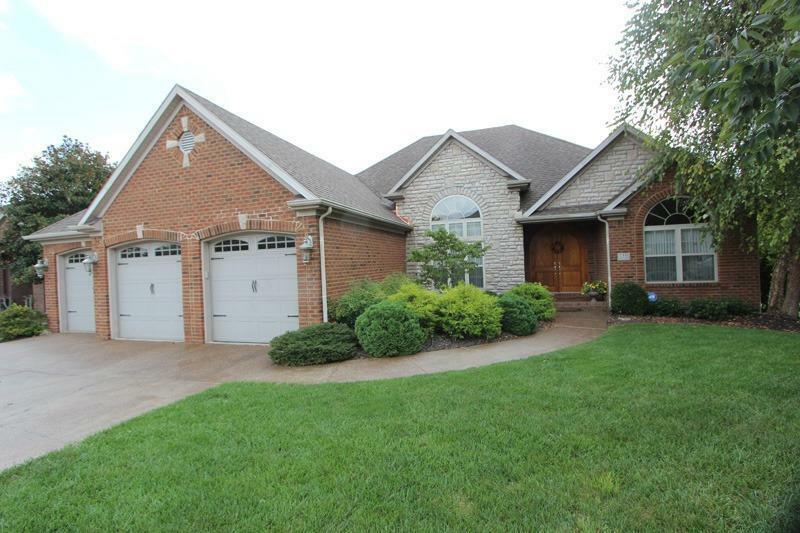 This elegant 4 bedroom ranch backs to the 14th fairway of Cherry Blossom Golf Course. 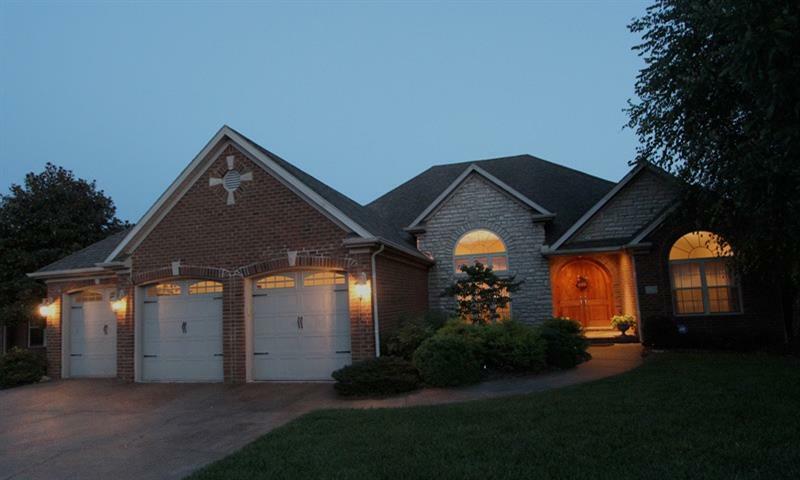 As soon as you enter through the gorgeous arched double front door, you will notice the gleaming hardwood flooring, barrel vaulted ceiling and natural lighting. The great room has 13 ft vaulted ceiling, fireplace and opens to the sunny kitchen with beautiful cabinetry. 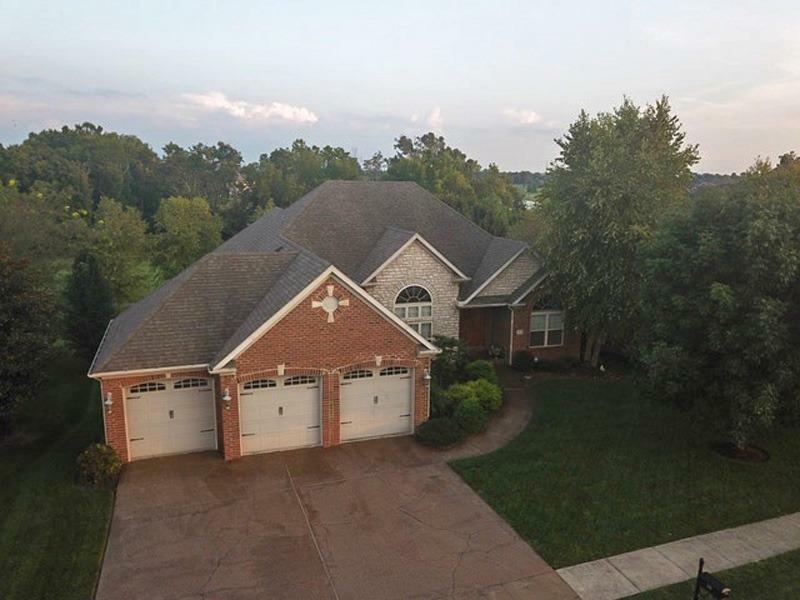 This home boasts a 3 car garage, open floor plan, finished walk out basement, luxurious master suite with a huge walk in closet, a covered deck, extensive moldings and specialty ceilings, upgraded HVAC (2013), new hybrid water heater (2017) & central VAC system. You will appreciate plenty of windows offering exquisite views, large guest rooms, an extra large golf cart garage, tons of storage, beautiful landscaping & perennials. 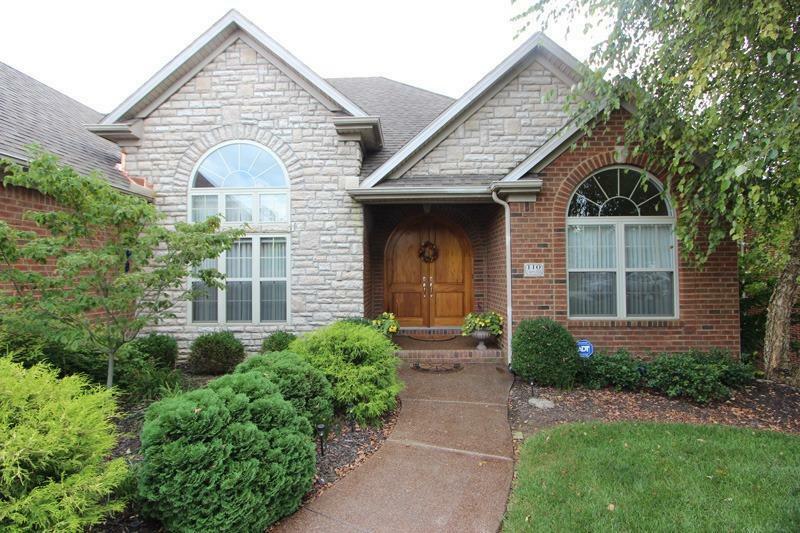 This home has been well cared for and is ready for its new owner.